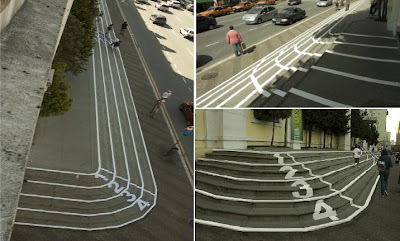 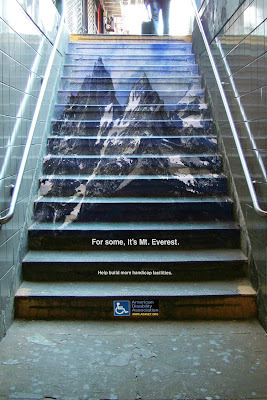 Staircases can be used in a creative way, as a billboard to advertise various products. 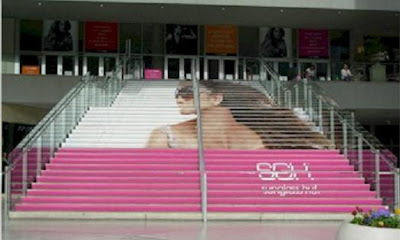 Shopping Mall Stairs Advertisement: "The stairs of the main shopping mall entrance were transformed into a track that extends to the central entrance." 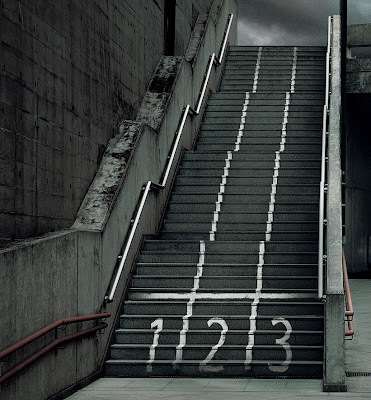 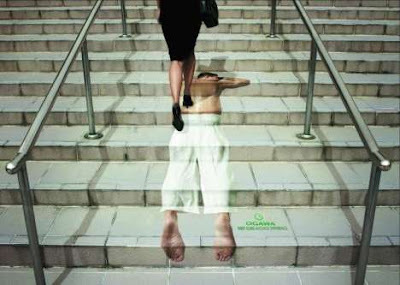 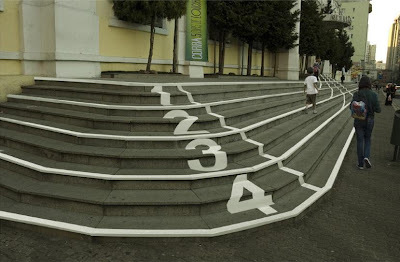 Add Stairs Advertisement: "You cannot imagine what it's like to compete everyday of your life." 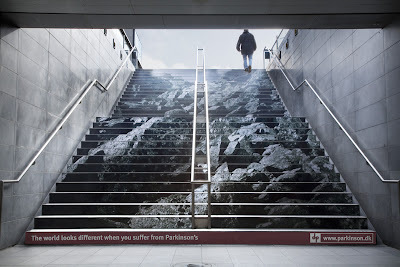 Nationwide Stairs Advertisement: "Life comes at you fast. 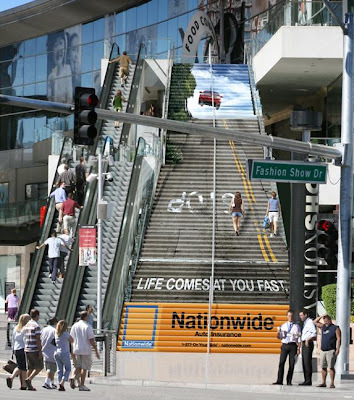 Nationwide Auto Insurance." 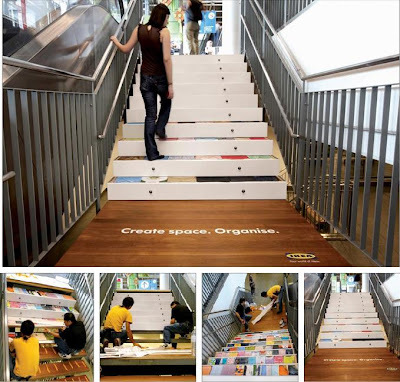 Ikea - Stair Advertisement: Ikea's storage products are about innovative ways to save space. 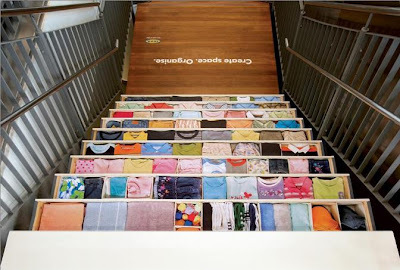 To highlight it, store's main staircase was presented in a creative way as a chest of drawers, with everything inside neatly organized. 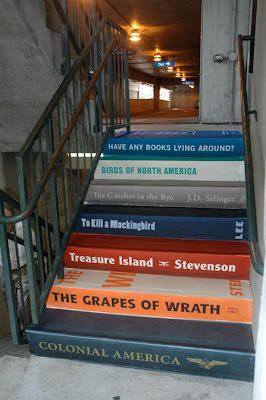 Literacy Association Stairs Advertisement: A creative advertisement was created to make people give their books to the Literacy Association, so that they could in turn sell them to raise money at their large book sale that they have each year. 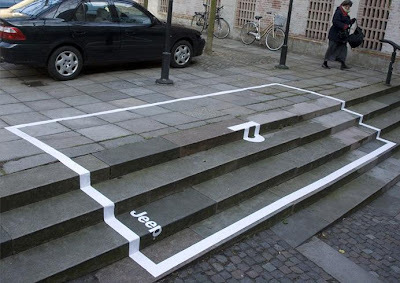 Jeep Stairs Advertisement: Creative advertisement of parking space on the stairs reserved only for Jeep cars. 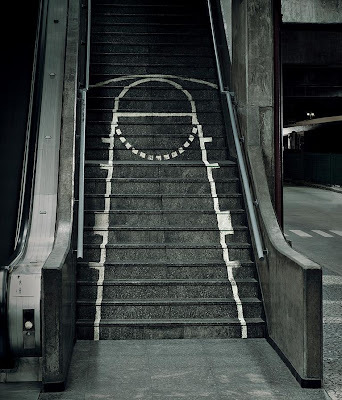 Foot Massage Stairs Advertisement: To promote Ogawa Massage Chairs and their excellent massages, life sized stickers of a man face down were strategically placed at selected stairways around the city, creating the illusion that the person is receiving the "foot" massage. 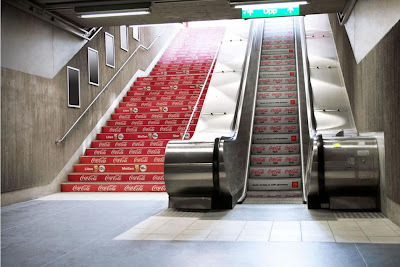 Cola Stairs Advertisement: Regular Cola was advertised to people using the stairs and light to those who chose the escalator. 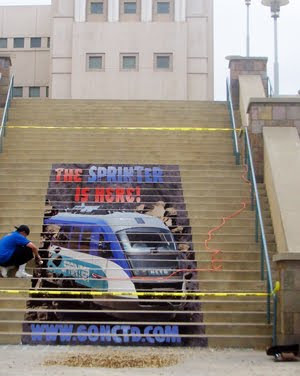 Sprinter Stairs Advertisement: To increase the number of commuters of Sprinter Commuter train, a billboard was taken off the board and put it on CSUSM's stairs to attract the college students.